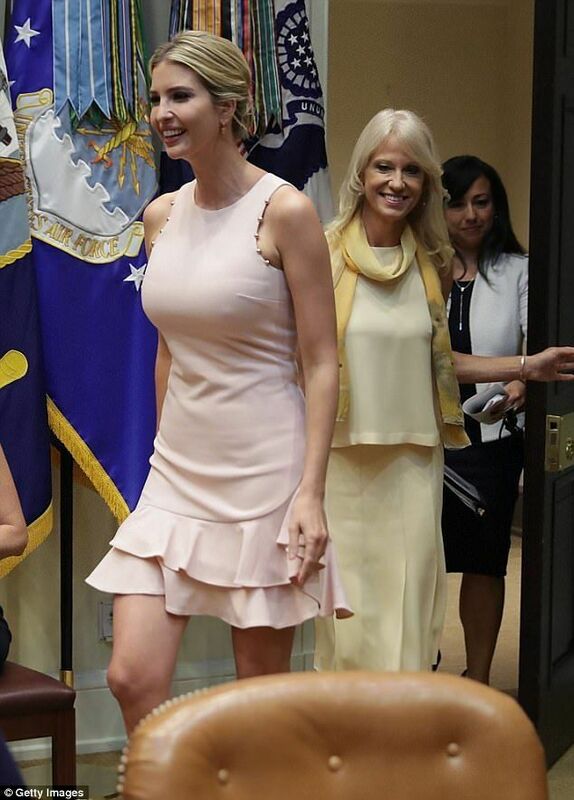 There couldn’t be a more elegant, graceful, fashionable, lovely First Daughter. She is simply stunning. Finally, class and elegance are back in the White House! Ivanka Trump was the picture of elegance in an elegant peach frock while at the White House on Wednesday. The 35-year-old donned a sleeveless dress featuring a layered ruffle hemline to host a listening session with military spouses in the Roosevelt Room at the White House. 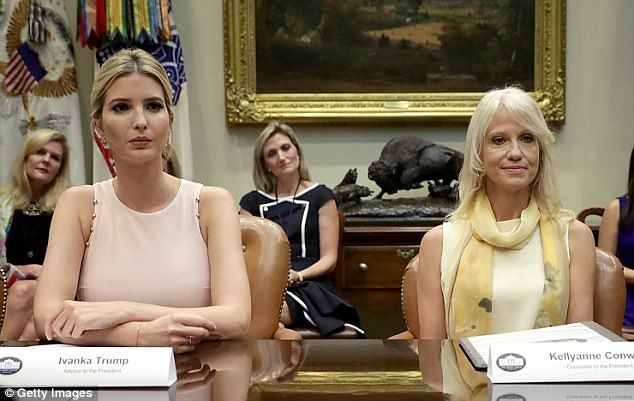 Ivanka was joined by White House counselor Kellyanne Conway for the meeting in which the spouses discussed the problems they face with employment. The First Daughter’s dress featured pearl beads along arm openings of the sleeveless bodice, and she wore minimal jewelry aside from delicate gold earrings and a red string bracelet on her right wrist. 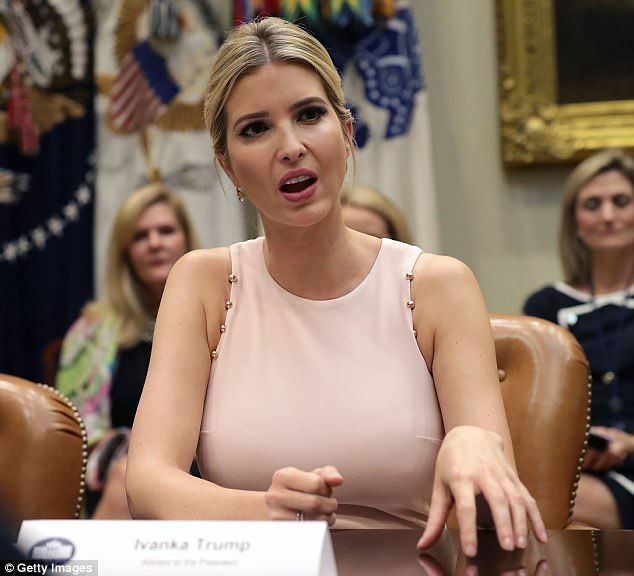 To beat the Washington, D.C. heat, Ivanka had her blond hair pulled back in a chignon at the name of her neck. Ivanka hosted the event as part of the White House’s ‘American Dream’ week, and she and Kellyanne were joined by Small Business Administrator Linda McMahon and Secretary of Labor Alex Acosta for the session. The First Daughter later took to Instagram to share a photo and wrote: ‘Today we met with #MilitarySpouses at the White House. We learned firsthand what this Administration can do to support our non-uniformed heroes and help them thrive in our economy. ← SESSIONS SMACKDOWN: Attorney General Sessions To Unveil His Plan To Prosecute Leakers…THE PURGE HAS BEGUN!